Automation in a laboratory today has high demands for a variety of samples and workflows. Automation is no longer just going from sample to sample for analysis. From eliminating process order and transcription errors of sample information to complex cleaning and environmental control and protection for analysis, our autosamplers are designed to assist in every way for flexible workflows and efficient analysis. Designed to maximize throughput in the minimal space, InMotion Autosamplers increase productivity without sacrificing laboratory bench space. The innovative robotic arms of the Pro and Max series reach into the sample tray optimizing space. Intuitive and flexible programming in our instruments allows for tailored workflows of your samples. Use the PowerShower™ and conditioning sequences for effective cleaning and to maintain sensors for secure operations or parallel tasks for ultimate efficiency. 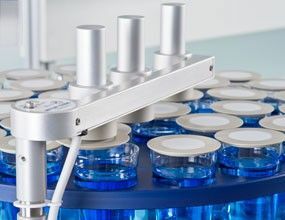 Build your autosampler according to your sample needs with modular boards for extra pumps, CoverUp™ system for protecting your samples and operators as well as the water bath sample trays for temperature control of your samples. 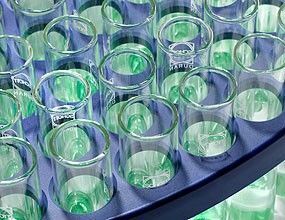 Choose between the Flex, Pro and Max InMotion Autosampler bases and the rack that fits your throughput and sample size needs. 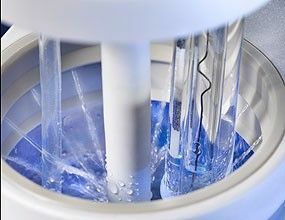 Connect InMotion to any METTLER TOLEDO Excellence Titrator, Density Meter or Refractometer simplifying operation in your lab with a common autosampler connected to similar One Click® operated instruments. Use SmartSample™ RFID weighing with Analytical Excellence balances for ultimate security and efficiency in weighing. Transfer IDs and weights wirelessly from the balance removing transcription errors and concern about placing samples in the proper order. Similarly use the barcode reader for automatic identification.